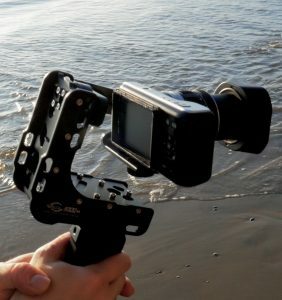 There have been tons of blog posts and videos about this new breed of three-axis gimbal called the Weebill LAB by Zhiyun, after it hit the market a few months ago, and they mostly just read off its features like advertisements – but since I’ve just gotten the thing, I figure the best I can add by now, is some advice on accessories. Here, I avoid the expense of the official ones, to show you cheaper alternatives, and then I wrap up in the related video with test runs in each mode, directly comparing each one by repeating the exact same run-through. 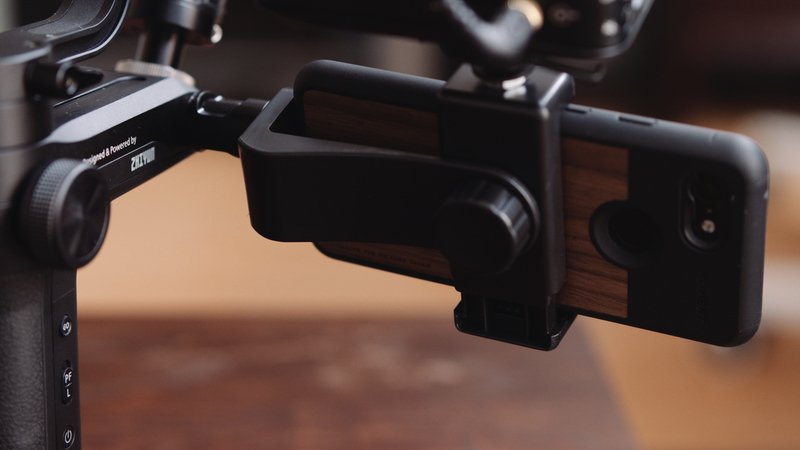 First, a little about the gimbal. This Weebill LAB replaces my Zhiyun Crane, that I’ve already shot tons of movies with, including something that was just on PBS last month. Before that, I used a CAME-Single, and before that I used a Nebula 4000, and before that, something called a Big Balance Gibbon. So I’ve always been an early adopter of single-grip stabilizers. 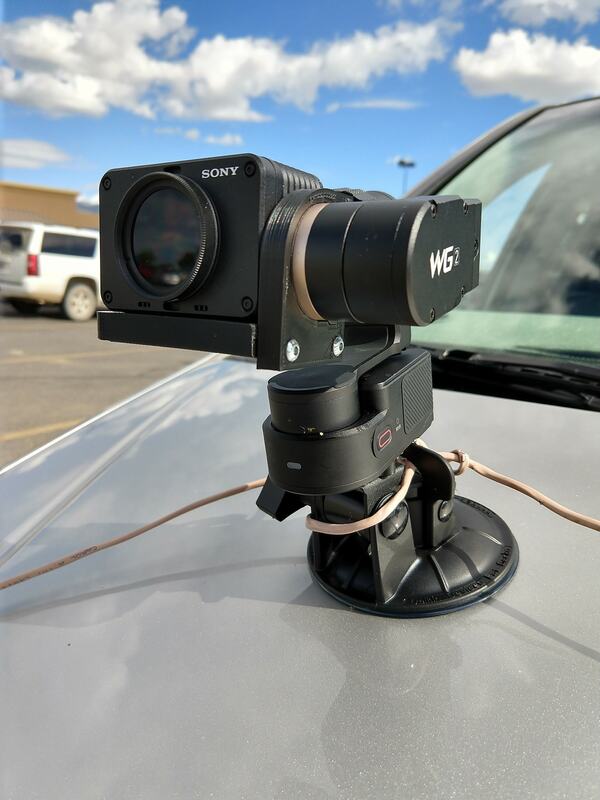 I even sprang for the miniature one pictured at right to balance my Sony RX0 on the hood of a car. And so all things being relative, this one really does get it right, matched with what I’ve settled on lately to be the best camera for steadicam-driven shoots, the Sony a7 III, especially because of its incredible auto-focus performance, which especially blew me away when creating my most recent film The Passion of Scrooge. 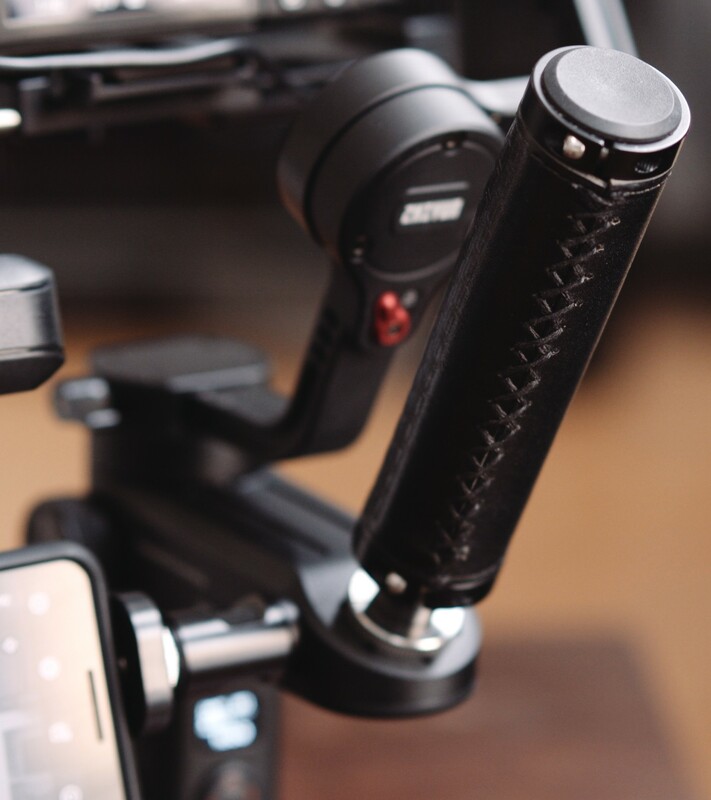 On each of the three axes, you get red latches that switch into a lock mode, and then you can click each arm into place, so that it doesn’t flop around while in transit – also, this makes it easier to balance your camera one by one. 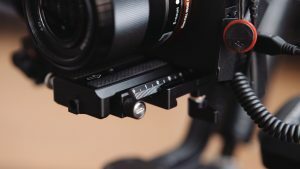 Speaking of balance, there’s a clever Manfrotto-compatible quick-release plate that nests a smaller Arca-Swiss-compatible plate, sort of like Russian dolls, and you can slide it back and forth for calibrating that axis. And you can see how underneath the carriage, there are two thumbscrews, and that other one tightens your adjustment of the camera to the left and right. 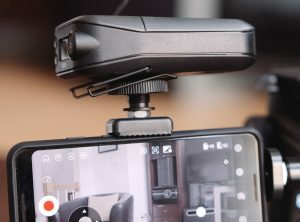 On the side of the body, there’s a sort of mini-ARRI-style rosette with a 1/4-inch-20 thread hole for accessories, and that’s where you can mount a smartphone to both control and monitor your shoot. The official mount is fifty bucks, way overpriced, but I’ve found one for about ten, as seen below. It’s only a little worse than the official one, since you have to loosen and re-tighten it to pivot the angle, but on the plus side, it’s lighter, which is a big deal when you’re flying this whole rig and it tires you out. I also like the top mounting hole, because then I can screw in my wireless mic receiver, which then hooks into the microphone input on the camera, if the cable is short enough and light enough. Another alternative with pros and cons, is to add a “friction arm” (also called “articulating arm”) that goes wherever you want it to. But the more you add weight like this, the more it throws everything off balance, so that’s something you’ve got to literally weigh, especially when you’re using the tripod base. 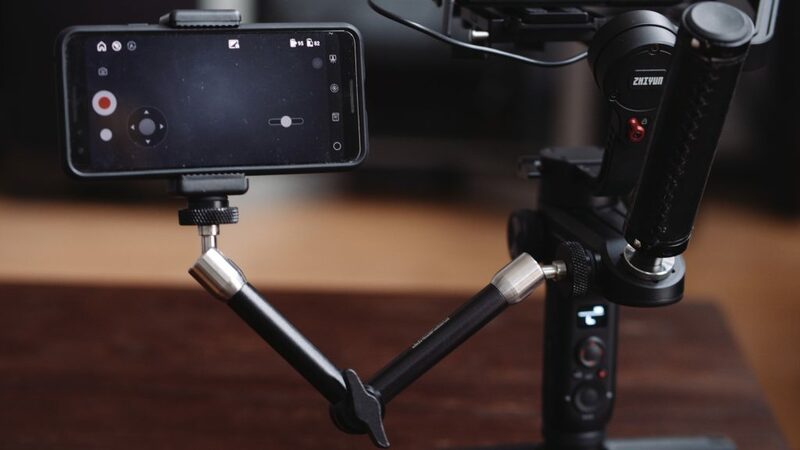 Speaking of which, the Weebill LAB design is innovative because it wants you to swap positions between the tripod that doubles as a handle at the bottom, and screw it in here too. But since you really want a handle in both spots at all times, you just need any handle with a protruding 1/4-inch-20 screw, and I had this leather one sitting around from my oldest custom-built two-handed gimbal. Having it ready all the time is important for extra stability, for transitioning to underslung mode, and for using the other hand to change settings. So really, ignore the hype: you don’t need to blow $40 on a pair of those way-overpriced quick-release couplers. 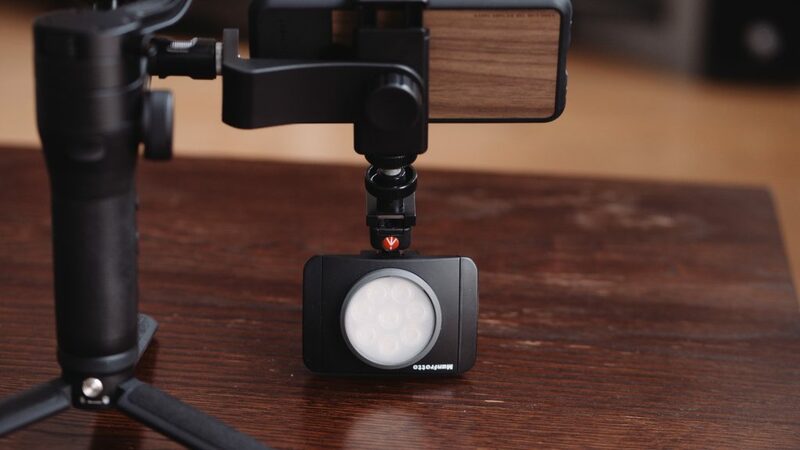 But back to mounting some more accessories: we are still stuck in the world of hot shoes that were originally designed for flashes, and so if you get one of them as an adapter, along with a coupler that lets you rotate into the proper angle before tightening, then you could also, say, hang a portable light onto your gimbal rig like this. I’ve put it on the bottom this time, because it wouldn’t have given enough clearance for the camera up top. One last thing about accessories is, you don’t need to buy the official overpriced monopod for almost a hundred bucks. Any monopod will do, like this pictured Manfrotto 290 that’s better anyway. 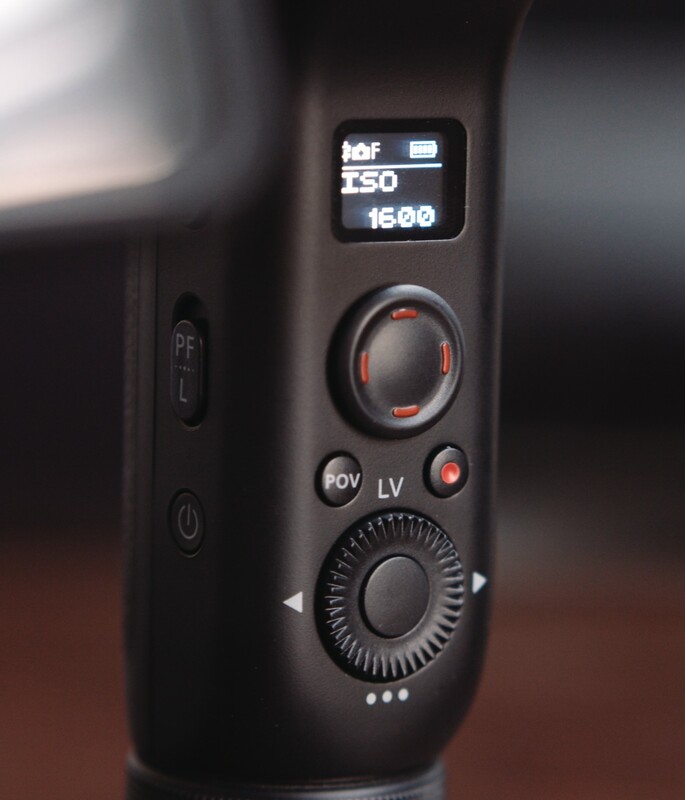 After going through some of these accessory options, the headlining video proceeds to fly through one single shot a few times, using each of the modes for comparison (minus the Follow (F) mode, since it’s not currently possible to stay in that mode without holding a momentary trigger). 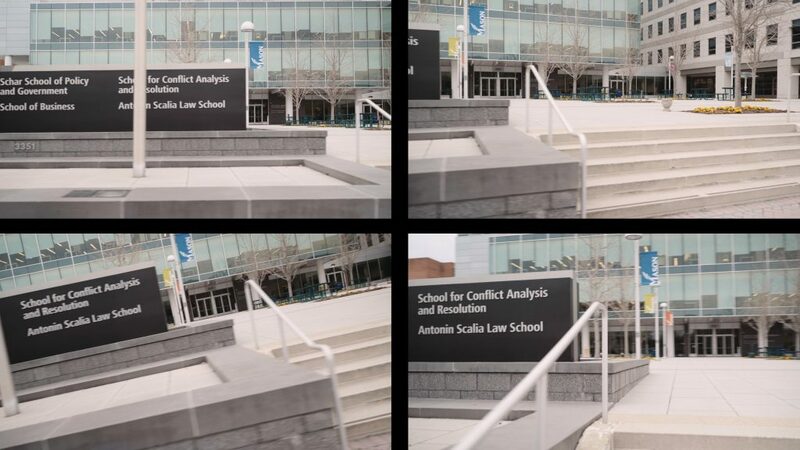 As a confessional caveat, I didn’t go full-penguin in my walking style, to approximate the average use case of untrained steadicam operation — and to compensate for that, I applied a light usage of Adobe Warp stabilizer in post. That’s a controversial choice, to be sure, but something I simply always do in practice.